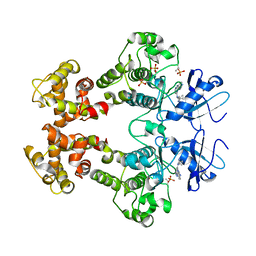 著者 Korennykh, A.V., Egea, P.F., Korostelev, A.A., Finer-Moore, J., Zhang, C., Shokat, K.M., Stroud, R.M., Walter, P.
主引用文献 The unfolded protein response signals through high-order assembly of Ire1. 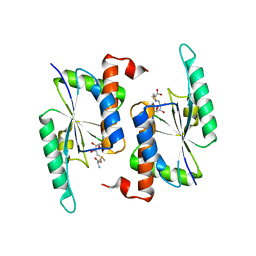 著者 Koh, C.S., Brilot, A.F., Grigorieff, N., Korostelev, A.A.
主引用文献 Taura syndrome virus IRES initiates translation by binding its tRNA-mRNA-like structural element in the ribosomal decoding center. 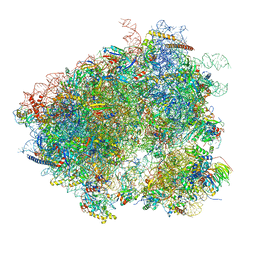 著者 Svidritskiy, E., Brilot, A.F., Koh, C.S., Grigorieff, N., Korostelev, A.A.
主引用文献 Structures of Yeast 80S Ribosome-tRNA Complexes in the Rotated and Nonrotated Conformations. 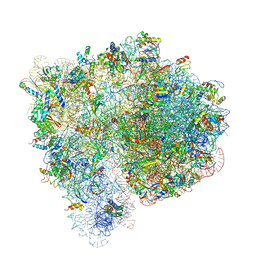 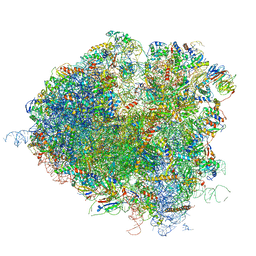 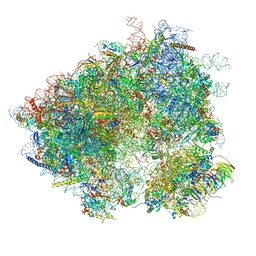 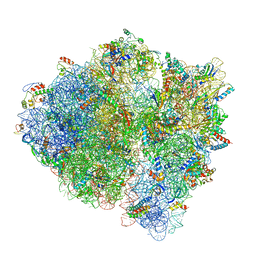 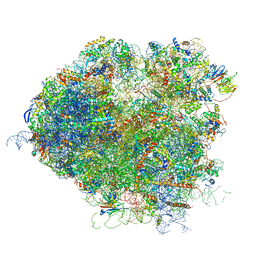 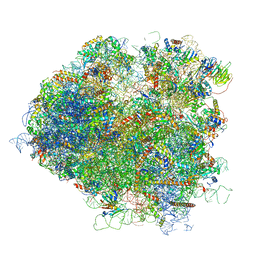 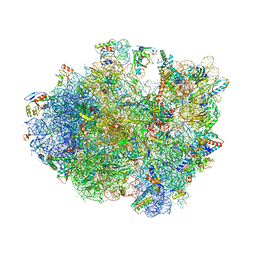 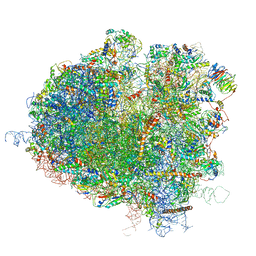 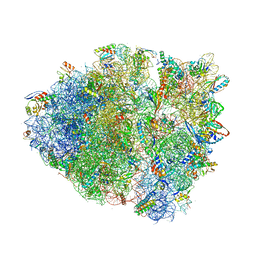 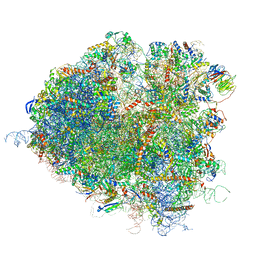 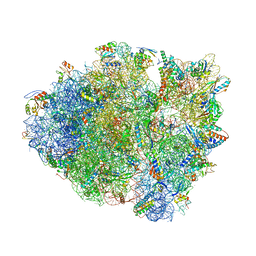 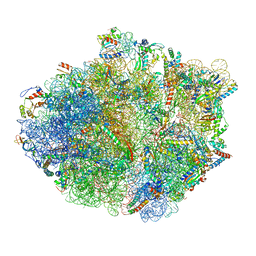 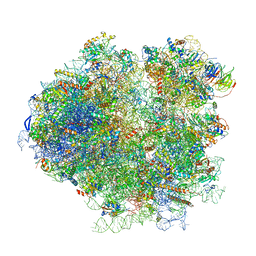 著者 Brilot, A.F., Korostelev, A.A., Ermolenko, D.N., Grigorieff, N.
主引用文献 Structure of the ribosome with elongation factor G trapped in the pretranslocation state. 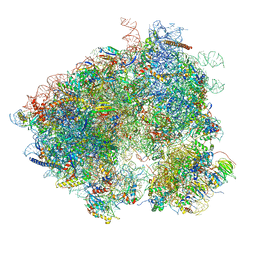 CRYSTAL STRUCTURE OF THE 70S RIBOSOME BOUND WITH THE Q253P MUTANT OF RELEASE FACTOR RF2. 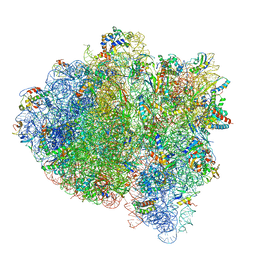 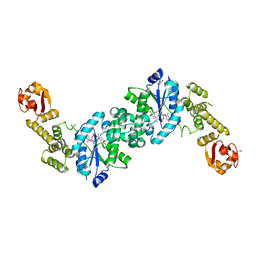 著者 Santos, N., Zhu, J., Donohue, J.P., Korostelev, A.A., Noller, H.F.
主引用文献 Crystal Structure of the 70S Ribosome Bound with the Q253P Mutant Form of Release Factor RF2. 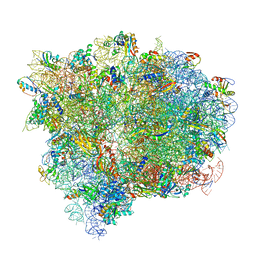 著者 Svidritskiy, E., Ling, C., Ermolenko, D.N., Korostelev, A.A.
主引用文献 Blasticidin S inhibits translation by trapping deformed tRNA on the ribosome. 著者 Svidritskiy, E., Korostelev, A.A.
主引用文献 Ribosome Structure Reveals Preservation of Active Sites in the Presence of a P-Site Wobble Mismatch. 主引用文献 Structural Basis for Translation Termination on a Pseudouridylated Stop Codon. 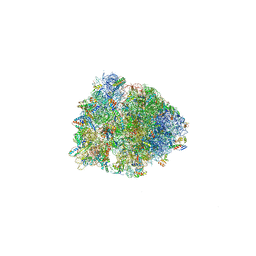 著者 Loveland, A.B., Bah, E., Madireddy, R., Zhang, Y., Brilot, A.F., Grigorieff, N., Korostelev, A.A.
主引用文献 Ribosome•RelA structures reveal the mechanism of stringent response activation. 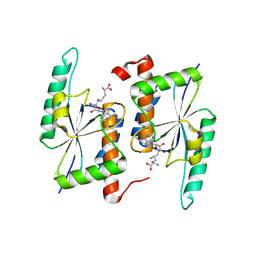 著者 Koh, C.S., Madireddy, R., Beane, T.J., Zamore, P.D., Korostelev, A.A.
主引用文献 Small methyltransferase RlmH assembles a composite active site to methylate a ribosomal pseudouridine.